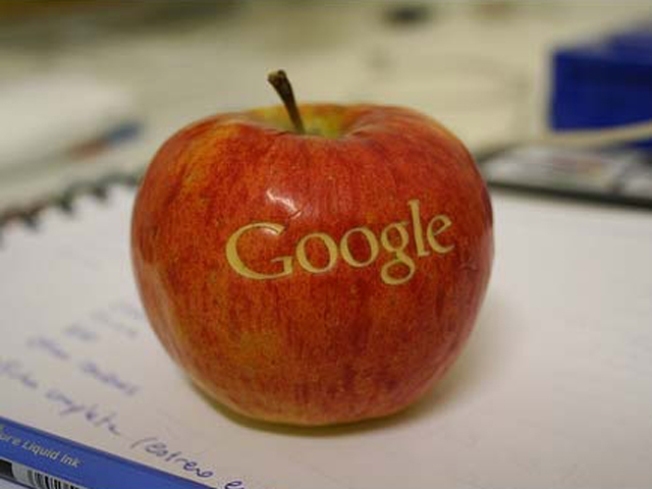 Google and Apple just don't seem to get along. And now AT&T is upset with Google too. The silent partner in Apple's ongoing dispute with Google is finally speaking up. AT&T filed a letter with the Federal Communications Commission Friday accusing Google of violating federal call-blocking rules with its Google Voice service. While the filing does not mention Apple's controversial blocking of Google voice from its popular iPhone app store, it comes a week after the FCC released private communications between the tech giants. Apple and AT&T have both insisted the telecomunications company plays no role in determining what apps make it into Apple's virtual store. AT&T's letter alleges that Google is violating federal standards by blocking some calls to rural areas to cut down on costs. The company says the practice ammounts to a violation of telecomunication laws that requires phone operators to provide unrestrictated access. On Google Voice's Web site, users have posted messages complaining about calls being blocked to rural areas such as the northern parts of Minnesota. "By openly flouting the call blocking prohibition that applies to its competitors, Google is acting in a manner inconsistent with the spirit, if not the letter, of the FCC's fourth prinicple contained in its Internet Policy Statement," AT&T Senior Vice President Robert Quinn said. The search giant said the allegations are misdirected because the company is not a telecomunications provider. "Google Voice is not intended to be a replacement for traditional phone service -- in fact, you need an existing land or wireless line in order to use it," Google's Washington Telecom and Media Counsel Richard Whitt wrote in response to AT&T. Google says AT&T's open Intenet argument is off base as well because "the FCC's open Internet principles apply only to the behavior of broadband carriers" and not the developers of a web-based application such as Google Voice. AT&T's complaint stems from the practice of local telephone providers in rural areas charging long-distance companies for originating and terminating calls on their networks. Federal standards currently require telecomunication companies to connect their users to the local network. Google suggested instead of fighting, the two companies work together to reform a "badly flawed" system.